On behalf of the inventor, we manage the manufacturing process from start to drop-ship. This takes the uncertainty out of you finding a manufacturing facility and having the machines and labor needed to efficiently make your invention a reality. Before manufacturing a product, you must pass interference analysis, structure design, mass properties, adherence to safety standards, and local codes and regulations. 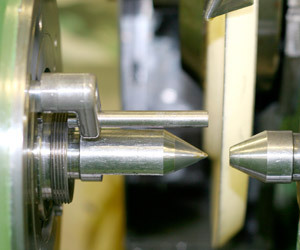 Machines are extremely expensive, and custom parts may need to be molded to design and manufacture your invention. Overhead in manufacturing facilities is intense, and that is why it maybe important to find a facility that shares a common goal or uses similar materials. This will produce economies of scale that decreases the costs as the amount of input increases within the facility. The resources maybe distributed more cost effectively. Vallmar Studio has the resources available for successful manufacturing and solving potential problems in order to meet your goals. We are familiar with the manufacturing industry and know how they operate most efficiently. We will make sure your raw materials and energy are being utilized to full potential. Using this knowledge, we make your invention manufacturing a success.